The TheraBite® Jaw Motion Rehabilitation System™ is a clinically proven, anatomically correct and portable system designed to restore mobility after trismus and mandibular hypomobility. The patient controlled system utilizes repetitive passive motion to stretch connective tissue, strengthen weakened muscles and mobilize joints. The average sustainable gain in jaw opening is around 1–1.5 mm per week. 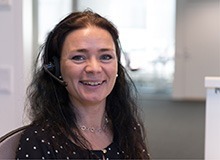 The TheraBite® Jaw Motion Rehabilitation System™ can also help to reduce muscle pain by reducing joint inflammation and prevent reduced muscle strength during (chemo) radiation in the head and neck area. The TheraBite Jaw Motion Rehabilitation System is available in both adult and pediatric versions. 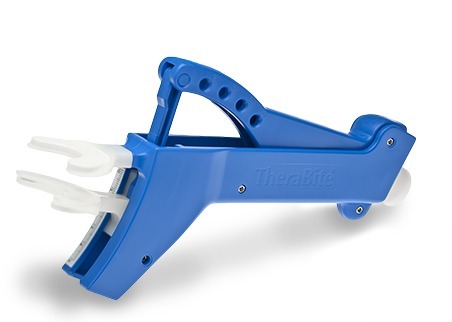 TheraBite Jaw Mobilizer: Non-sterile, reusable.